By U.S. law, known as the Smith-Mundt Modernization Act of 2012, the Broadcasting Board of Governors (BBG) and the Department of State are not authorized to use taxpayers’ money to influence public opinion in the United States or to otherwise propagandize to Americans. It appears, however, that the Voice of America (VOA) is now spending public money to help distribute its programs specifically to American citizens and U.S. residents and to promote such domestic distribution of VOA programming. U.S. government officials and employees, whose salaries are paid by U.S. taxpayers, appear to have been definitely actively involved in making arrangements with a private firm for domestic distribution of VOA programs. Targeting American citizens with VOA programs designed for foreign audiences is still against the law if appropriated funds are used. Any BBG payments using appropriated funds to any organization to make VOA programs available specifically in the United States would be illegal, while such payments to make VOA programs available outside of the United States are legal. They are concerned that U.S. government officials may be wasting taxpayers’ money for purposes not authorized by Congress. The key issue is whether U.S. taxpayers’ money is being spent by Voice of America executives or other Broadcasting Board of Governors (BBG) employees to actively target Americans for reception of VOA programs. The question to be asked of VOA executives is who paid for setting up domestic U.S. phone numbers to access VOA programs and whether any appropriated U.S. funds were used to make these arrangements. 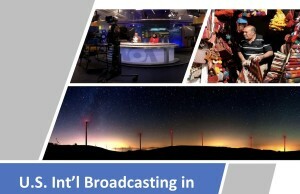 Critics have pointed out that the U.S. law permits VOA and other BBG employees to make VOA programs available for U.S. domestic distribution upon request, but if these government officials are also making active efforts to arrange for and promote U.S. domestic distribution of VOA programs, they may be violating at least the spirit of the U.S. law, these critics say. 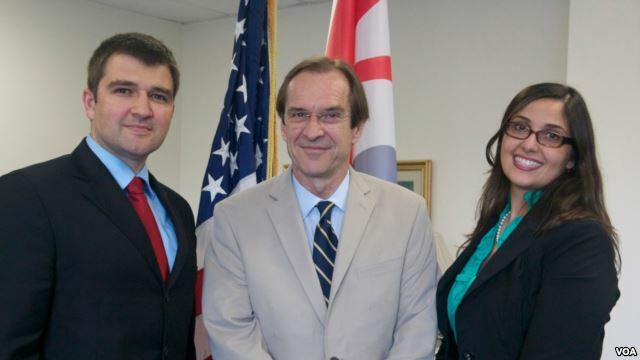 “We are delighted that for the first time in its 72 year history VOA broadcasts will now be available inside the United States,” a Voice of America press release quotes VOA Director David Ensor as saying. “There are so many people in diaspora communities in this country who want to hear news in their own language, and we can provide it,” David Ensor is further quoted as saying. At least the tone of the VOA press release suggests that VOA officials have been actively involved in trying to target specific U.S. communities. Whether this is legal or not remains to be seen. It could be Somali Americans now that U.S. government officials are interested in influencing, but tomorrow it may be another group of U.S. citizens and residents, critics warn. It is perfectly legal for Americans to access VOA programs on the Internet or to call phone numbers set up for foreign audiences to listen to VOA programs on mobile phones. Critics point out, however, that setting up phone numbers specifically for Americans to listen to VOA programs would be illegal if appropriated U.S. funds are being used for that purpose. They point out, however, that they are not lawyers and do not offer any legal analysis or legal advice. Critics have warned also that Voice of America and Broadcasting Board of Governors executives would focus on domestic distribution of VOA programs while neglecting foreign audiences. This appears to be true, as badly managed Voice of America often fails to report critical U.S. news, including news from the White House, the State Department and the U.S. Congress, while its executives have been busy arranging for domestic distribution of VOA programs. In a recent example of mismanagement at the Voice of America, VOA English News had only two sentences on the White House National Security Council (NSC) press briefing Friday afternoon and announcement of President Obama’s scheduled meeting in Poland with Ukraine’s President-elect Petro Poroshenko, while VOA staff was busy writing a 623-word press release on VOA programming being now made available in U.S. by mobile phone. See: “Voice of America gives Obama – Poroshenko meeting announcement two sentences”, BBG Watch, June 1, 2013. On June 2, another VOA English News report on President Obama’s trip to Europe which starts today had only 161 words compared to 623-word VOA press release promoting domestic distribution of VOA programs. Voice of America failed to report in any length for its foreign audiences on a White House press briefing Friday afternoon by Deputy National Security Advisor Ben Rhodes devoted to President Obama’s upcoming trip. Many U.S. and international media outlets had full-length reports on the NSC briefing. Voice of America Director Director David Ensor said in a recent interview that VOA is not be a mouthpiece of the White House or anybody else. But the Voice of America faces strong bipartisan criticism in the U.S. Congress. In response to a multitude of news omissions, violations of the VOA Charter, and news reporting mistakes in recent years and months, Rep. Matt Salmon (R-AZ), a member of the House Foreign Affairs Committee, has announced his intention to introduce a bill that would eliminate federal funding for the Voice of America, which was established by the U.S. government in 1942. It is believed to be the first such defunding proposal advanced in Congress in VOA’s history under its many directors. 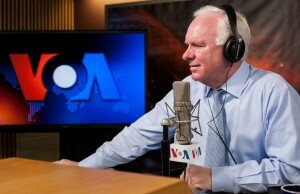 Rep. Salmon described his initiative to defund VOA as the fifth “Shrink Our Spending” (SOS) bill in a series of bills to be introduced over the next few months to cut wasteful and duplicative spending. He charges that the VOA management is ignoring the VOA Charter. Another bill dealing with the Voice of America, the United States International Communications Reform Act of 2014 (H.R. 4490), has already been unanimously approved in a fully bipartisan action by the House Foreign Affairs Committee, of which Rep. Salmon is a member, and sent to the whole House for consideration. H.R. 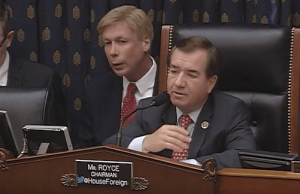 4490 introduced by House Foreign Affairs Committee Chairman Edward Royce, with Committee Ranking Member Eliot Engel and seven other co-sponsors, would not abolish the Voice of America but would subject it to much stricter management controls. Some fear that some of these controls may also limit VOA’s journalistic independence, although elements of the VOA Charter, which calls for accurate and objective news, have been incorporated into H.R. 4490. Supporters of the bill, including the the Executive Board of AFGE Local 1812, a union representing Voice of America journalists and other employees, does share some concerns but believes that the bill, with a few changes, should be enacted. 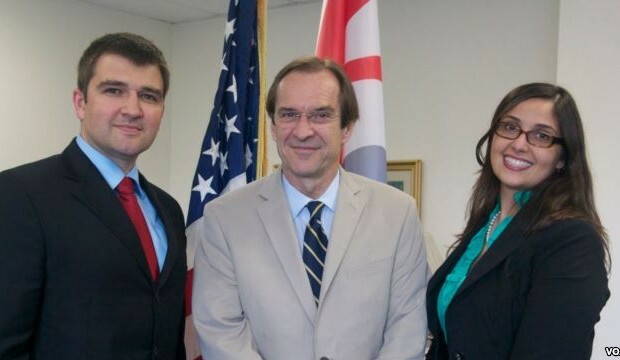 Left to right: George Cernat (Chief Marketing Officer of AudioNow), David Ensor (VOA Director), and Addie Nascimento (Chief of Digital Syndication, BBG’s Office of Strategy and Development) signed today’s agreement. AudioNow, based in Washington, DC, is the leading call-to-listen platform in the world. With broadcast partners on every continent, AudioNow extends the reach of radio by connecting mobile listeners to their favorite radio stations through a simple telephone call. The AudioNow platform uses proprietary “HD” voice design and patent-pending technology that serves all mobile platforms. AudioNow has more than 1,800 broadcast partners, including global leaders such as the United Nations, BBC, RFI, Voice of America, Entravision, C-SPAN and IMG College. In 2013, AudioNow delivered 2 billion listening minutes to its broadcast partners and connected users 84 million times to its platform. For more information, please contact Rebecca Walker at rebecca.walker@audionow.com. For more information about this release, contact the VOA Public Relations office in Washington at (202) 203-4959, or write to publicrelations@voanews.com. For more information about VOA, visit the Public Relations website at www.insidevoa.com, or the main news site at www.voanews.com. 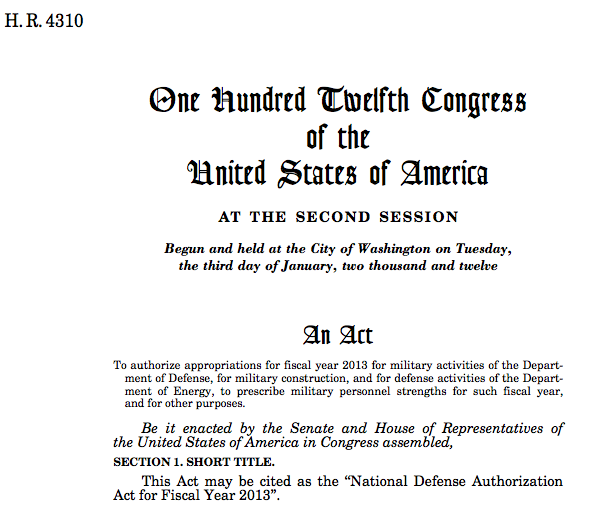 Link to National Defense Authorization Act (NDAA) for Fiscal Year 2013 (Public Law 112-239). SEC. 1078. DISSEMINATION ABROAD OF INFORMATION ABOUT THE UNITED STATES. ‘Sec. 501. (a) The Secretary and the Broadcasting Board of Governors are authorized to use funds appropriated or otherwise made available for public diplomacy information programs to provide for the preparation, dissemination, and use of information intended for foreign audiences abroad about the United States, its people, and its policies, through press, publications, radio, motion pictures, the Internet, and other information media, including social media, and through information centers, instructors, and other direct or indirect means of communication. ‘(C) to ensure that the persons seeking release of such material have secured and paid for necessary United States rights and licenses. ‘(B) the Archivist shall be the official custodian of the material and shall issue necessary regulations to ensure that persons seeking its release in the United States have secured and paid for necessary United States rights and licenses and that all costs associated with the provision of the material by the Archivist shall be paid by the persons seeking its release, in accordance with paragraph (4). ‘(3) The Archivist may undertake the functions described in paragraph (1) on behalf of and at the request of the Secretary or the Broadcasting Board of Governors. ‘(4) The Archivist may charge fees to recover the costs described in paragraphs (1) and (2), in accordance with section 2116(c) of title 44, United States Code. Such fees shall be paid into, administered, and expended as part of the National Archives Trust Fund. ‘(c) Nothing in this section may be construed to require the Secretary or the Broadcasting Board of Governors to make material disseminated abroad available in any format other than in the format disseminated abroad.’. (b) Rule of Construction- Nothing in this section, or in the United States Information and Educational Exchange Act of 1948 (22 U.S.C. 1431 et seq. ), may be construed to affect the allocation of funds appropriated or otherwise made specifically available for public diplomacy or to authorize appropriations for Broadcasting Board of Governors programming other than for foreign audiences abroad. ‘SEC. 208. CLARIFICATION ON DOMESTIC DISTRIBUTION OF PROGRAM MATERIAL.‘(a) In General- No funds authorized to be appropriated to the Department of State or the Broadcasting Board of Governors shall be used to influence public opinion in the United States. This section shall apply only to programs carried out pursuant to the United States Information and Educational Exchange Act of 1948 (22 U.S.C. 1431 et seq. ), the United States International Broadcasting Act of 1994 (22 U.S.C. 6201 et seq. ), the Radio Broadcasting to Cuba Act (22 U.S.C. 1465 et seq. ), and the Television Broadcasting to Cuba Act (22 U.S.C. 1465aa et seq.). This section shall not prohibit or delay the Department of State or the Broadcasting Board of Governors from providing information about its operations, policies, programs, or program material, or making such available, to the media, public, or Congress, in accordance with other applicable law. ‘(b) Rule of Construction- Nothing in this section shall be construed to prohibit the Department of State or the Broadcasting Board of Governors from engaging in any medium or form of communication, either directly or indirectly, because a United States domestic audience is or may be thereby exposed to program material, or based on a presumption of such exposure. Such material may be made available within the United States and disseminated, when appropriate, pursuant to sections 502 and 1005 of the United States Information and Educational Exchange Act of 1948 (22 U.S.C. 1462 and 1437), except that nothing in this section may be construed to authorize the Department of State or the Broadcasting Board of Governors to disseminate within the United States any program material prepared for dissemination abroad on or before the effective date of section 1078 of the National Defense Authorization Act for Fiscal Year 2013. ‘(c) Application- The provisions of this section shall apply only to the Department of State and the Broadcasting Board of Governors and to no other department or agency of the Federal Government.’. (2) in section 1005 (22 U.S.C. 1437), by inserting ‘and the Broadcasting Board of Governors’ after ‘Secretary’ each place it appears. (e) Effective Date- This section shall take effect and apply on the date that is 180 days after the date of the enactment of this section.